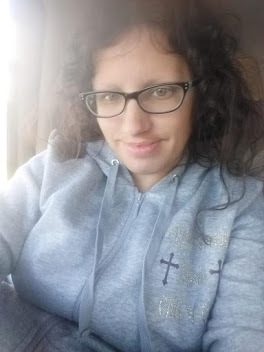 *Disclaimer - I am receiving payment for posting this campaign on my blog, from Hidden Valley Ranch, with Walmart. Do you love Ranch as much as I do? You can make a delicious meal with it! 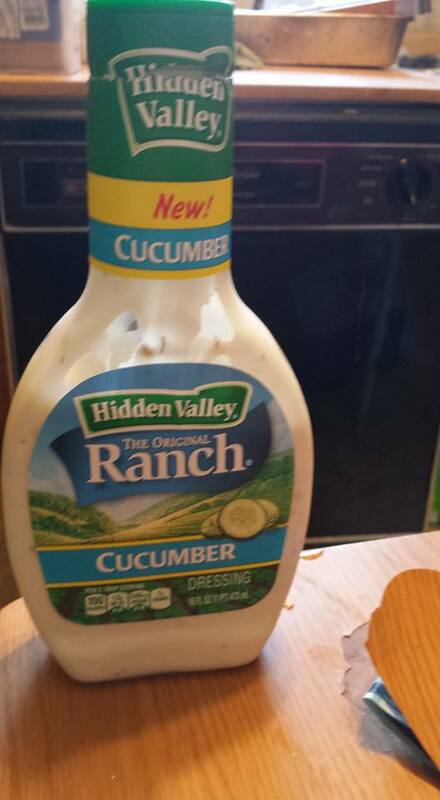 Did you know that Hidden Valley Ranch now has new flavors, such as Sweet Chili and Cucumber / Cucumber Light, to choose from? Well, they do and the one that we chose to buy for this campaign was the Cucumber Dressing. 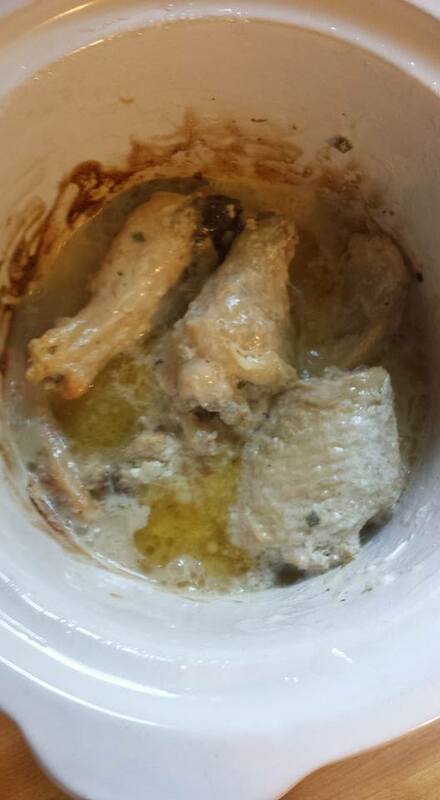 I decided to make chicken wings with the Cucumber Dressing, from Hidden Valley Ranch. 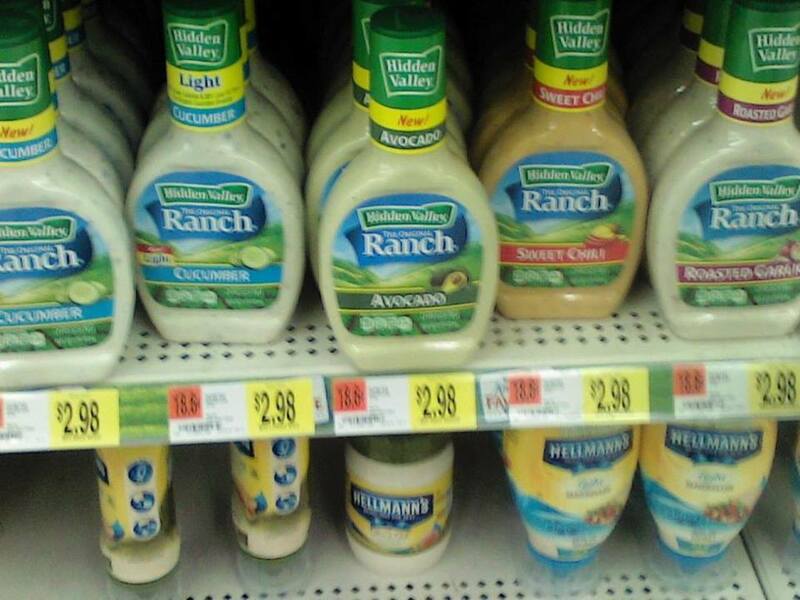 I absolutely love Hidden Valley Ranch products! All you'll need to do is, take a bag of frozen chicken wings whether they're boneless or not and place them in a crockpot and pour the Cucumber Dressing over it and fill it half way in the crockpot to ensure that the chicken wings are covered completely. You can either put the crockpot on high setting for 2 hours and then stir it and put it on low for another 2 hours, or you can cook it in the crockpot for 2 hours on high, and then remove them from it and cook it on the grill the way you want it. I decided to just do it in the crockpot this time. What an easy way to add some extra flavor to chicken. I'll probably finish mine on the grill. I love those char marks.